I came across this story the other day in the Washington Post. 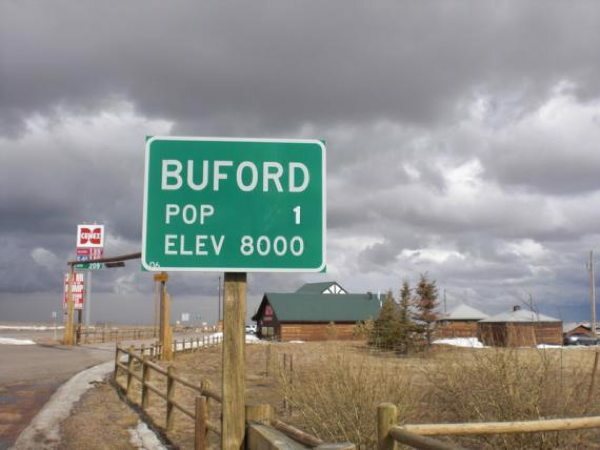 A Vietnamese businessman bought the town of Buford, Wyoming, lock, stock and barrel. Pham Dinh Nguyen has big plans for Buford; “Frankly, I just see Buford as part of the United States: A large and potential market for Vietnamese goods. Buford is likely to be the showroom for such goods.” Mr. Nguyen is a bit behind the times; the U.S. is an actual, as opposed to a potential market, for Vietnamese goods. The U.S. imported $14.9 billion worth of goods from Vietnam in 2010 while exporting a whopping $3.7 billion worth of goods. For those of you who are math challenged, that amounts to a $11.2 billion trade deficit. While that is peanuts compared to our almost $300 billion trade deficit with the Middle Kingdom, $11 billion is $11 billion. Given Mr. Nguyen’s singular plan that his newly purchased town be in effect a 21st century trading post for Vietnamese wares, I think he should consider renaming it so that it truly reflects his vision. I have a few suggestions, but I would love to hear from you as well. Please leave your ideas for new possible names of Buford and I will pass them on to Mr. Nguyen at my earliest convenience. This entry was posted in Made in America, made in usa, Trade and tagged Buford Wyoming, Made in America, Made in the USA, Trade, Vietnam. Bookmark the permalink. I think a good name would be Walmart City.